Summer, 1926. Ernest Hemingway and his wife Hadley take refuge from the blazing heat of Paris in a villa in the south of France. They swim and play bridge, and drink gin with abandon. But wherever they go they are accompanied by the glamorous and irrepressible Fife. Fife is Hadley's best friend. She is also Ernest's lover. Hadley is the first Mrs. Hemingway, but neither she nor Fife will be the last. Each Mrs. Hemingway thought their love would last forever; each one was wrong. 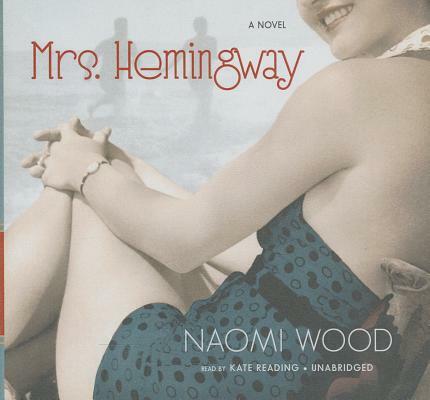 Narrated by Hemingway's four wives-Hadley, Fife, Martha, and Mary-and peopled with members of the fabled Lost Generation-including Gertrude Stein, Ezra Pound, and F. Scott Fitzgerald-Mrs. Hemingway paints a complex portrait of the man behind the legend and the women behind the man, a riveting tale of passion, love, and heartbreak.